Expensive for that 90% efficiency estimate. I don’t know what all the one star reviews are about but this app has worked for me the since moment I downloaded it!! I don’t mind having to pay for an app that actually works. 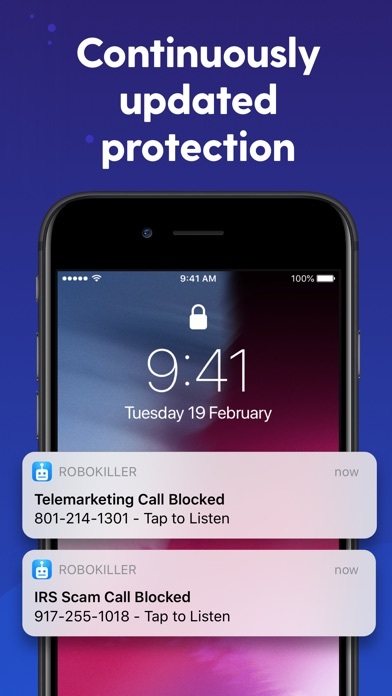 It’s gotten so many spam calls and telemarketers so far and if it misses 1 or 2 they will still end up in my call history as a possible RoboKiller and I can report it right from my call log without even having to go into the app. It’s amazing I love it!! I like all the different Answer Bots that you can choose from too, there’s so many different ones. I get about 3 to 4 weirdo calls per day and it catches all of them and doesn’t report the ones that are in my address book that may not be spam, so it can tell the difference. It really does work!! The only bad thing is they got rid of the Morgan Freeman Answer Bot!! There’s a bunch of new ones now that are stupid like NASCAR, Cher, Sofia Vergara, and Chafing Calves. Seriously!? Also if you ever turn your phone off it completely kicks you off and you have to do the setup process all over again which is annoying. Enter your phone number, make a call, receive a call, get a text message, enter the code, and blah, blah, blah. So basically never turn your phone off and you’ll be just fine. Die you spammers!! 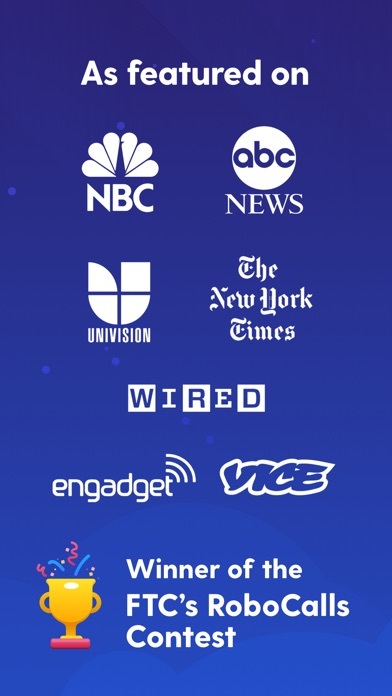 Why is this labeled as a free app? Yes, you can download it for free but you need to pay a monthly fee to use the program. Trying something else. I particularly like listening to the Robocall recordings! So much fun to turn the tables on the spammers! I heard about this app from and friend and was SO excited to try it out. Unfortunately, it’s been a headache for a month. 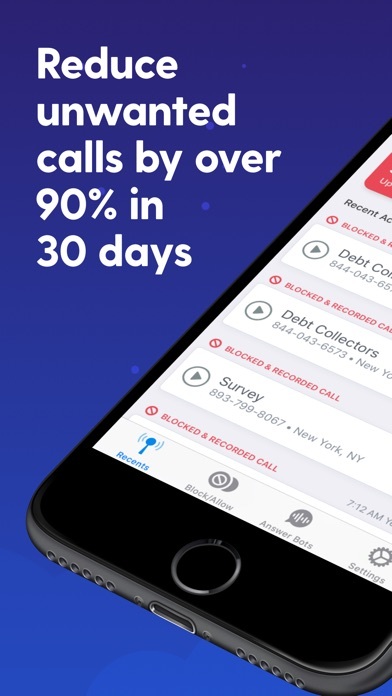 All calls, including spam, are still ringing off the hook at all hours of the day. Also, my actual contacts are all being redirected to a RoboKiller voicemail instead of my personal voicemail on my phone. I have been in contact with customer service several times and they keep giving me new phone numbers to try to correctly install they app but none of them worked. 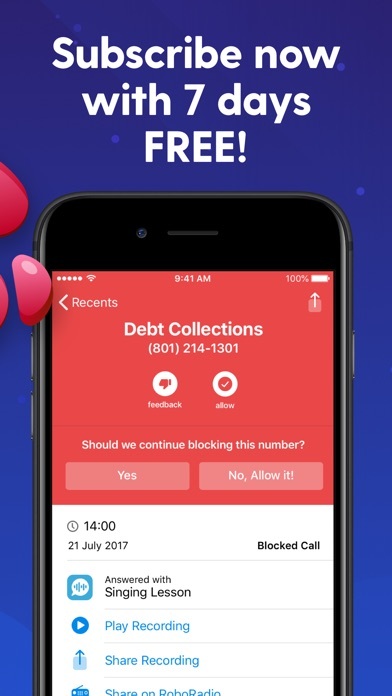 Nor have they directly answered my question, “is this app supposed to filter calls so automated calls and spammers never or rarely actually ring through AND can the app allow my saved contacts and numbers I don’t have saved but are real people who need to reach me ring through and be directed to my personal voicemail if I can’t answer. I’ve been dealing with “Frank” and he seems nice but was utterly unhelpful. He did not respond to my latest inquiry. 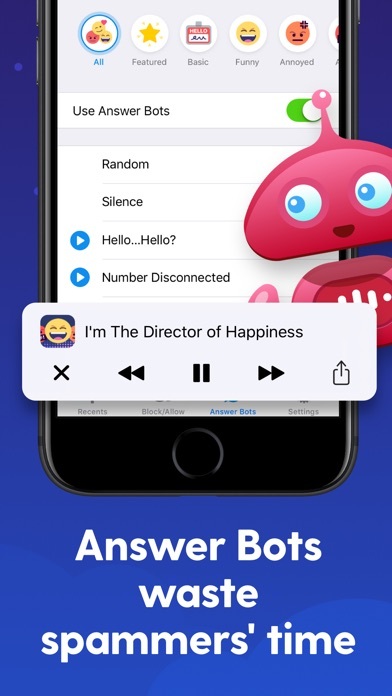 So to sum up, this app seemed like it would be just what I needed and wanted, but in the end it fell so short I would give it zero stars if I could, and it is not worth $5 to even try it out for a month. 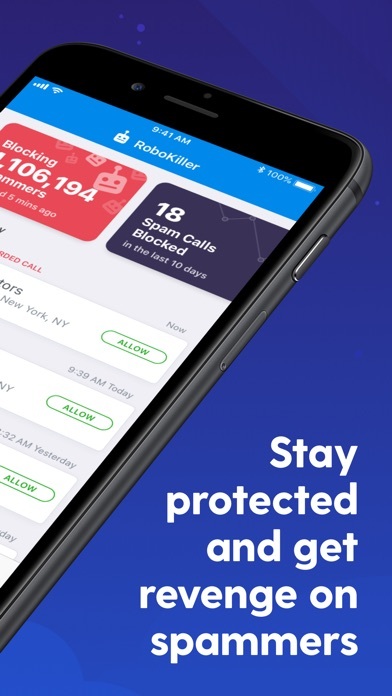 This app works so well and it always makes me laugh when scammers get exposed basically and since I get so many scam calls it is really nice that I won’t have to worry about handling them.